Hi friends! Hope y'all are having a great Monday! We had a fabulous weekend relaxing and visiting with my best friend, Sarah, who flew in from New York to visit with baby H (remember when David and I visited with her here and here?). The weather was kind of gloomy, so all we really did was cuddle up with the baby, eat lots of comfort food (peanut butter brownies... mmm), catch up and drink a few bottles of wine. You couldn't ask for a better weekend! Speaking of baby H... if there's one thing I've learned, it's that baby gear is so much fun. 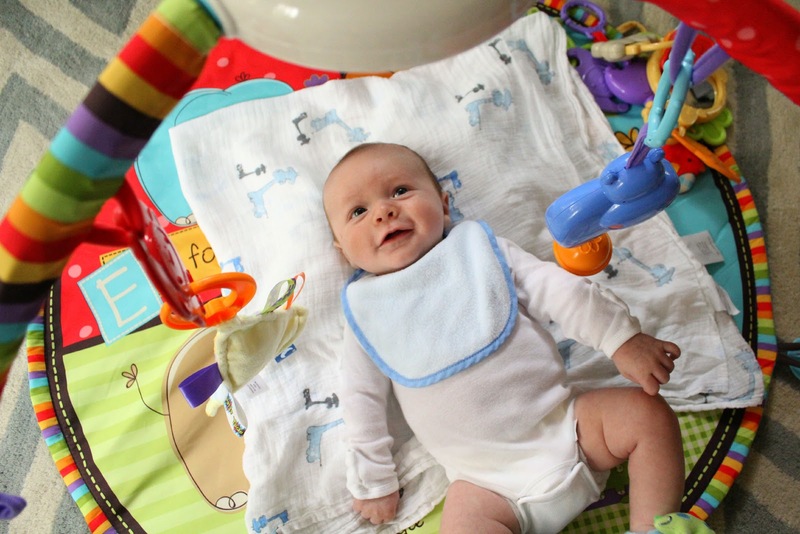 How do you say no to adorably cute baby items? Well, at some point, you have to. While it's fun to have every single item from the aisles of Babies R Us, it's also important to know what works and what doesn't. 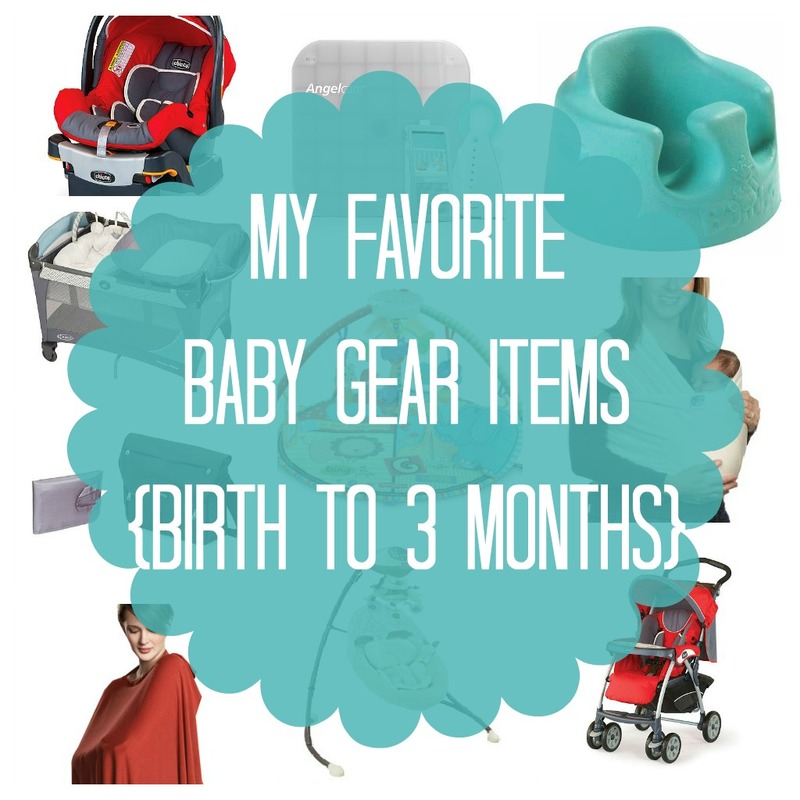 So, I'm here to update you from my top favorite baby registry items post and report back to let you know what bambino gear we've loved so far! That whale bathtub is genius. Little H absolutely loves his baths and splashing around in this tub like a wild man. It's perfect because even though he's still too small for the tub, he can sit on the little ledge (the "infant stopper") and stay propped up. It's one of my favorite things we own! 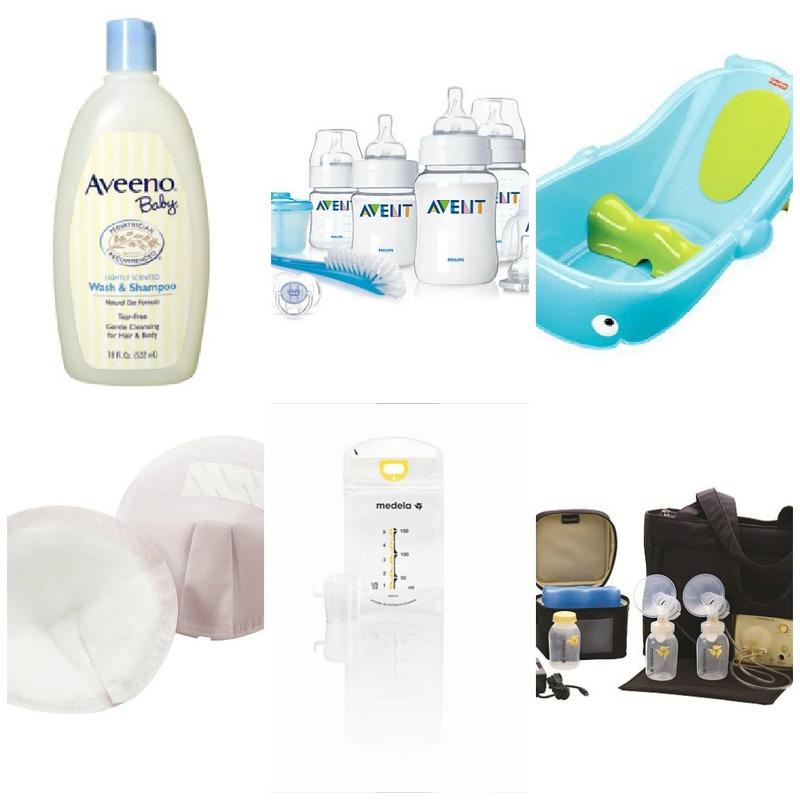 All of the Medela pump items have treated me well, although I more or less hate pumping with my whole life. But that's another story for another day. We've actually only used the Medela bottles so far and they've been great. I'll likely learn a lot more about bottle feeding when I go back to work at the first of the year and HDawg is using them more, so I'll be sure to let y'all know! In other baby care news, we haven't had to deal with any major diaper rash or anything, so I'm not too sure what works there. Little H did have some dry skin issues, but the Aveeno lotion and some baby Aquaphor took care of that. David and I (and HDawg!) 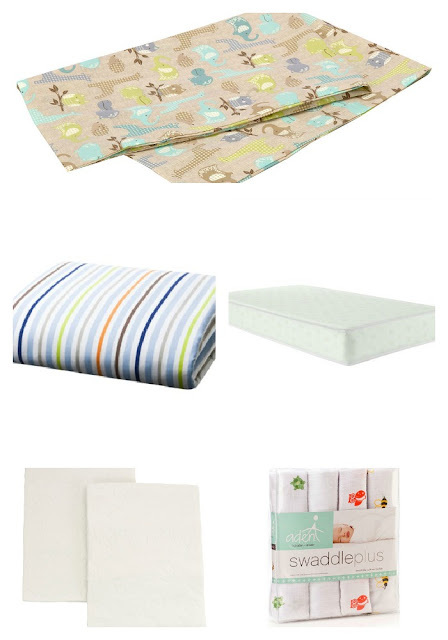 love our crib and all of it's accessories, such as the sheets and mattress. To tell you the truth, we haven't used the waterproof pads yet at all. I'm guessing those will come in handy more when the baby is bigger and wetting the bed. Another recommendation I have is this mattress wedge. It's a safe and very inexpensive way to prop the baby's mattress up to help alleviate acid reflux symptoms. H tends to roll down the slant a bit, but it's worth it to make sure that he's not in any pain. Have you ever had heartburn and tried to lay down? Mhm, no bueno! We also love the A+A swaddles I mentioned. Well, David loves them. I'm not as strong of a swaddler and H breaks out of them when I wrap him up. So I actually love the Halo sleep sacks. They're super easy to use and easier for the baby to stay wrapped up in. I had to hunt down the small size when H outgrew the newborn size, though- I think they only sell them online. David and I love the stroller and car seat combo we have. Although, I would add that you definitely need this stroller caddy. While you wouldn't want to use this caddy to wheel around the block or any other long trips, it is perfect to use to pop in and out of stores or restaurants. It's so light and not bulky at all. Definitely a good investment as an alternative to the full-sized stroller. Also, we just bought the BOB jogging stroller... I've only used it once, so I'll have to let you know more about it later! I remember being lost about what to do with H in terms of sleeping in the first few months. David and I decided to put him in this bassinet next to our bed for the first month before we transitioned him into his crib. It was perfect! And now we can use it to travel with until he outgrows it and needs the full-sized pack n' play. I'd definitely recommend having it around for a newborn. HDawg loves, loves his swing. He takes one of his daily naps in there and would take more if I let him! There's something about being rocked to sleep that just makes him so happy. I can't say the same for the accompanying bouncy seat, though- not H's favorite. But I'm sure that's different child to child! We're also still big fans of the video monitor system. It's over the top, but it gives me peace of mind when H is asleep in his crib. The only bummer with it is that the monitor doesn't reach across our entire house, so the signal disappears before you get to the slate room. This little gym was for sure one of HDawg's first favorite toys. He absolutely loves the lights and having toys hang over him to grab at. I'm not a huge fan of the hanging toys that came with the gym, but you can easily clip other rattles and items on there. Any toys that make noise or light up are key! I'd also recommend toys that have different textures on them- H is just now reacting differently when he grabs on to different textures. It's precious to watch him realize the differences! H absolutely loves these blocks because they make noise, have texture and he can knock them over with his hands or feet. I know so many of you will disagree with me, but I'm not a huge fan of the Moby wrap. I think my little guy is just too wiggly for it to work for us. We've had success with the Baby Bjorn, though, and use it sometimes to go on hikes and that kind of thing. Again, I'm sure it's different for every child! Two baby gear items I never mentioned were the Boppy pillow and the My Brest Friend pillow. We haven't really used the Boppy pillow all that much, but I can see where H will grow into using it the more he sits up. It's definitely good, in theory. But I wouldn't waste your money on the My Brest Friend... I found it awkward to use and it just made things more complicated, instead of helpful. It's been sitting in a closet since the first week H was born! What else... I can't think of anything else in particular! Of course, H loves his books. We spend a lot of time reading while laying on the floor on his quilt. And he loves music... I've got the Curious George soundtrack on repeat and we love to listen to Christmas songs and the Raffi station on Pandora. That's all of my favorite items that I can think of! If you have any questions about something I didn't mention (an item listed or not), feel free to ask me in the comments! I always look to other mommas for their wisdom and experience, so I'm glad to help other new moms where I can. Psst! Don't forget to have your Christmas tree posts ready to link up with Megan tomorrow! The holiday mantel link party is still live if you'd like to link up! I'll be featuring my favorites later this week. Also, you've only got until midnight tonight to enter to win the Lulu & Georgia mirror, don't forget! Is it sad that I don't want to get a play mat because I think they're ugly? I'm so on the road of winning mom of the year award next year lol! P.S. love your momma recommendations - I feel so lost trying to decide all of this stuff! AHH, still cant believe how small of a world we live in - sarah and i were in the same 4th grade class. Soooo cra cra. Please tell her she look great! Glad you and baby are doing great - he is precious! Thanks, this post is very useful. Our little one is due any day now and i do have most of the things you recommend. One thing i am not so sure about is where to do the baby bath, over the tub? on the change station, or the bed, some even say on the floor, that have you seen work for you? My son is 6 weeks old and we also love that bath tub! The infant stopper is genius and after having a different tub at first and then switching, he finally likes his bath! We also have that swing and it helps so much during the day to help him sleep so I can get stuff done! I definitely want to look into that wedge for the crib for when we move him into his own room! I just came across this post and I'm so grateful that I did! I'm due with Baby #1 in May and am completely overwhelmed by all of the options out there. Thanks so much for posting this. I have several of these items on my registry and I'm happy to see your honest opinions! I love your nursery! I'm wondering what bumper you chose for your crib? Hi Maria. We don't have a bumper on our crib- our pediatrician recommended against it, so we went with her suggestion. I know that many people love them and find them safe, though, so check out all of the research out there! Thank you for the advice on the bumper! I was also wondering where you purchased your gingham fabric? I love the gingham fabric you used for your curtains and ottoman! The fabric is from Ikea! Thank you for the advice on the bumper! I am also wondering where you got your gingham fabric for your curtains? Love it! your little gym baby gear is very cute... I love it very much. I'm looking for this for my 2 months old baby boy, hope to help me find one. Thanks for sharing this wonderful post of yours. Thanks for this round up! 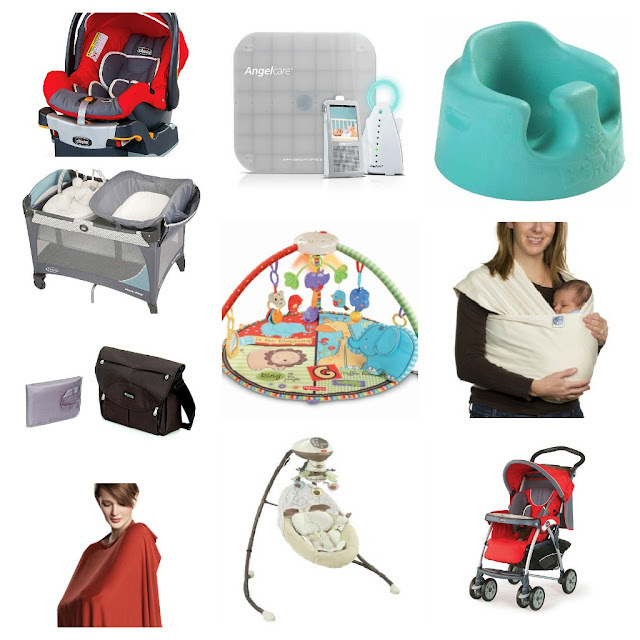 I am 19 weeks with bebe #1, so I appreciate any honest mama feedback on all the STUFF you need for a baby! Its insane! Hdawg is so cute, I've loved watching him grow over the years! hank you for the advice on the bumper! I am also wondering where you got your gingham fabric for your curtains? Love it!